Should have bottles between this week or next. Oil will be here beginning of next week. Full installation of line complete this week. Should not be any more than 13 or so days from now till ship dates God willing. Remember, there is this little guy by the name of Murphy and he’s full of snafus so please be conservative in your expectations. Yes, we all are familiar with Murphy's Law!! Praying that guy stays away from all things Bocannaco! WELCOME NEW FOUNDERS AND DISTRIBUTORS! These Leaders represent many Pool Memberships as many hold multiple-memberships. Bocannaco is so grateful for their input, commitment, vision and capabilities! We know more Founders are on the way so List will update on Monday. FYI: our first Founder Pool Member was just A SHORT 5 weeks ago!! What CBD Oil is the Best? 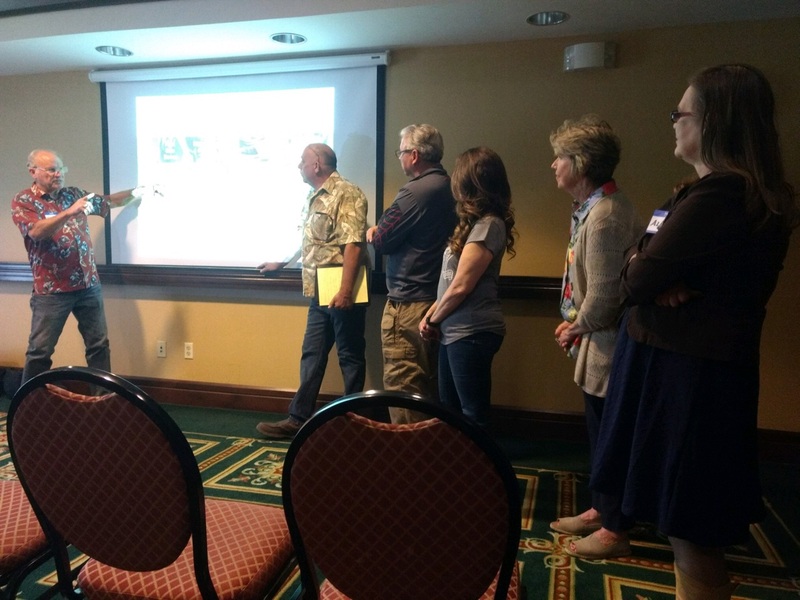 Sharing the Bocannaco Business Presentation with a key group in Oakhurst, CA, including Bocannaco Founders Bonus Pool Members Jeff Verdugo, Ron Allen and Claudia Evans. If you have not yet seen the excellent video explaining "Why Bocannaco is the Best", there's no better time than NOW. Also, this is a great time to copy and send the link out to people you believe would be interested in furthering their understanding of the fuzzy subject of oil from industrial (male) hemp plants. New Founders Pool Members are signing on daily and with the kind of leadership that they represent, we at Bocannaco are wholly optimistic about what's going to happen as soon as the Launch is Here! SPECIAL GUEST FOR NEXT MONDAY'S BOCANNACO CALL! Line up your guests because our VERY SPECIAL GUEST Speaker on the Monday Night Bocannaco Call is none other than Macy Lawrence. 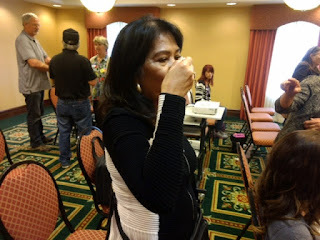 Macy is a Registered Nurse, is Mrs. Dr. Lawrence :), has been part of the research and development of Bocannaco oil from the beginning, AND has her own story of what the oil did for her. She is a gracious and knowledgeable lady and you will not want to miss her! Stay tuned. Keep sharing. And great and mighty Forces will come to your aid! Bocannaco Memorial Day Call, click here. Thanks to all who shared! HAPPY BIRTHDAY TO MACY LAWRENCE -- you are loved! Bocannaco Wishes You a Happy Memorial Day! It's been a busy week in Bocannaco, both for what we do and for what you do! Fyi message from Cora to Lucy and Carolyn about my experience today. "Hello there. I went to Pacifica Goodwill with my big daughter and as I was shopping there I had spoken to three people and passed my postcard. The two caucasian women 22 and the other one is in her early 50s were both interested and gave me their cell phone number and email right away. They would like the demo and would consider becoming a distributor should this hemp oil be what I described it to be. Then I spoke to the store manager, a Filipino guy who expressed interest in this. He even told me he would like to invite me to his house where he and his wife will invite their close friends for the free demonstration. That is called good PR and being very sincere. Just think! --these are complete strangers and I'm able to make them feel very comfortable! I am sharing with you my experiences so that I can motivate you to possibly do something similar as I am doing. And remember I do not have the product and the website is still 95% done. Be inspired by my actions as I lead you all to the path of success! Naks naman. And always be humble. Fabulous! Cora"
GUESTS WELCOME to the BOCANNACO MONDAY NIGHT CALL! Children and teens have increasingly overdosed on drugs used to treat attention-deficit hyperactivity disorder, according to a new study in Pediatrics. The increase in overdoses, based on the number of calls received by U.S. Poison Control Centers between 2000 and 2014, is likely driven by the rise of ADHD diagnoses and unintentional abuse of prescription medications used to treat the disorder, such as children accidentally taking the wrong amount, Reuters reported. About 1 in 10 children in the U.S. have been diagnosed with ADHD. Most of the overdoses didn’t require hospitalization, but in three cases children have passed away. Bocannaco draws nearer to Launch! EXCITING TIMES as Bocannaco draws nearer to Launch! Round Table with Doc includes Founders from up and down the West Coast. Simple comp plan doesn't need much explaining. Art work is almost complete showing Doc and Macy at the farm. Everyone listens when Marlene Zamora speaks! L-R: Marlyn, Macy, Cora, Doc, Nancy, Ed, Sheila, Rod, Joseph! Warren, Cindy, John, Doc, Macy. Marlene, Nancy, Doc, Macy, Conrad, Malia! Ed, Rod, Macy, Doc, Sheila, Joseph! Doc estimates shipping will begin in 3 weeks! From Rev Brown: This will be huge! Just waiting to get the webpage online and functioning meanwhile introducing many people to it's wonders, after using Dr Lawrence's oil for 4 months my blood work cholesterol numbers went from 250 to 158! My carpal tunnel and trigger fingers ended, no more hip pain and knee pain , so grateful to Dr Lawrence -- and I think the title should be HOMEOSTASIS as I could not get my numbers down for anything, my sugar too went from 99 to 84 also very good. Thanks for sharing, Rev. Brown. And congratulations on your progress toward Homeostasis! Things were so intense the cameras didn't come out until most had left -- the paperwork was flying! L-R: Arsenio, Warren, Francine, Barb, Alanna, Julieta, Marlyn, Alfred, Cora, Stella, Mike, Prince. We will catch up on the Call tonight, 6pm! Things are moving FAST. Thanks Barb,The dog still has a little hitch in her giddy-up, but she is starting to run and jump even tho the vet said she shouldn't jump..Can't keep an active dog down. She still is not going UP steps but will go down them. The weight is put on her back legs when she goes up a step so she is still hesitant. But every day we see stronger improvements. Still giving her 4 drops of CBD oil every evening. It always gets faster in the home stretch! And Bocannaco Launch is entering the Home Stretch! Join the Bo-Bay Area Team tomorrow if you can -- details on yesterday's blog. Bocannaco Call this week IS ON SUNDAY! 6pm. May 20. I hope all is well. I wanted to let you know how Bocannaco has been working for me. The reason I was really interested in CBD/Hemp Oil was for my anxiety. When I was driving or when things suddenly went out of plan or not in "the plan", I would get anxiety so bad. It started about 5 years ago and progressively got worse over the years. My therapist seemed to think it wasn't just anxiety but more of anxiety attacks. I wanted to try anything that was all natural before I went to a doctor-prescribed medication. So that is when I started to try CBD. About a year ago, I tried one from another network marketing company. I used it on a regular basis for about a month and felt nothing. I ended up giving the rest of the bottle to my neighbor, but she felt nothing as well. After that I tried another one from an MLM; this one was water based and I was told it would work instantly. Yet again it failed and did not do anything for me. I tried to stay positive, because I know every body is different and will absorb and react differently, just like any other thing you put in your body such as food or alcohol. With all the talk and involvement learning about Bocannaco, I was able to get a bottle April 5th. When I received it I took one dropper before bed as that is what I thought was a serving. I would say the first day or two, I was actually sick so I was not sure if I felt anything. Soon after within, I would say the first week, I noticed I was more calm and when in situations I would normally have anxiety in the past, I was not getting it. I was thrilled! I continued to take the product over the month and noticed I still had half the bottle left. I was confused, I thought each bottle was a 30 day supply. About 2 weeks ago I was on the phone with John and he was like no you are supposed to take 2 droppers a day! I was like oh, that makes sense! So, I started taking 2 a day for about 3-4 days and it didn't change the way I felt, so I went back to one. The thing people have to realize is every body's body is different, some people may only need one dropper, some 2 and maybe some more. But one worked for me! Also after using the product I have been sleeping so good. Once I fall asleep, I no longer wake up 2-3 times in the middle of the night. I am sleeping and then when its time to get up, I wake up feel great and think to my self another restful night because of Bocannaco! The moral of the story, I do not have any thing majorly wrong with me, but I think many Americans live with anxiety and have troubles sleeping, so that may be a good way to pitch this product. Its not just for pain or crazy things, it is great as a supplement and could be used in place of some drug prescribed from a doctor. It works for me and it could work for others too. I am patiently waiting for the product as is every one else. I have about 1/4 of my bottle yet and I am stretching it by now doing a half a dropper a day. I can tell the difference on that so I might go back to 1 full dropper, we will see. I hope this email assist you guys in some way. By the way great job with the meetings! Maybe one day you guys can make it out by Chicago for one! Great letter, huh? Thanks to Avita for taking the trouble to share! Hope to see some of you in San Bruno Saturday and others in Torrance Monday or Tuesday! We meet up with IT creator David tomorrow early to catch up on the back office -- more later! "Mix and Mingle" with our Motivators Mike and Barb Lammons and our Bay Area Leaders! Learn Tips and Ideas on How to make this Business Grow and be a Star ! Mike will have cute samples from Doc and Macy just for the event! Heard from Dr. Lawrence this morning; he is SO busy! Gearing up for production as he got a firm date on the custom bottles arrival (and you're going to be happy)-- and so sleeves, labels, etc. are getting produced, etc. Oil will be awaiting the arrival of the bottles and Mike will send text re. date if he hasn't already. All Distributor Agreements that we have received to date are being hand-delivered to David Daniels for inputting into website starting Saturday so your back offices will be LIVE before too long! Can't believe the day for our pre - launch is fast approaching! 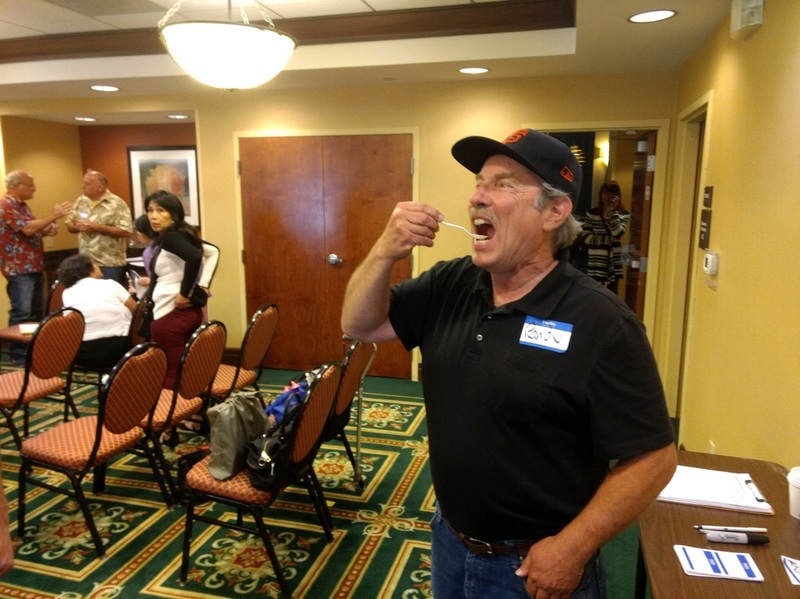 MAKE A NOTE: Oakhurst, CA, Bocannaco Introduction set for 6 pm Tuesday, May, 29. More details on that later.. I wanted to let you know how the CBD oil has helped my son's dog. He has a very active small chihuahua who MUST be ADHD. She is a non-stop dog who loves to run and jump. If she were a race horse I have full confidence she could win any derby! Last Thursday night, she was playing with my chihuahua who is more chunky than Socket, my son's dog. All of a sudden after some playing she hopped up on my lap and started shaking, and tucked her tail between her legs and wouldn't jump down or run anymore. Her condition rapidly declined and she was not using her right back leg, and soon neither of the back legs. She couldn't sit up to save her life. She would fall down and couldn't get up. Friday morning after taking her to the vet and spending over $200.00 we found out she had a ruptured disc in the center of her spine which affected her legs, bladder and bowels. Immediately, I gave her 4 drops of CBD oil. The vet had her on total rest, noninflammatory drug, and pain killer. We had to hand feed her, help her express her bladder and carry her outside to get some fresh air. Each morning and evening I continued to give her 4 drops of CBD oil and today, Tuesday, she has been able to get up on all four legs, walk alone and even took off running to chase the chickens. She is able to expel her bladder and bowels by herself and can sit up without any assistance. She still runs like she is a little drunk...with a right side wobble, but she is getting better every day. The Vet told us she would be 6 - 12 weeks before she could walk again. I guess he was wrong!! Just needed to tell you so you can see the oil isn't just for humans. This is not Mary's dog but isn't this how you picture it, recuperating and waiting for it's next oil dose? Great story, Mary! So kind of you to share! DETAILS FOR SF Bocannaco Event Saturday May 19 will post shortly. Stay tuned! Thanks to all for the great stories on the call last night -- you guys are spectacular at finding/making awesome contacts! LOVED Bocannaco Founders Bonus Pool Members Bob and Arissa Williams' story about the stranger in the suit who followed them store to store around Elk Grove. Reminds us of what we heard about marketing years ago: 'the person with the most conversations wins'. SO TRUE! NOTE: Next week the Bocannaco Call will be on SUNDAY, May 20, at 6 pm since we will be at Dr. Lawrence's on Monday. Welcome to several new Bocannaco Founders Bonus Pool Members-- in fact we are amazed at the response you guys are generating. From as far away as Ohio and Kentucky! Uh, somebody is really spreading the news and it is all organic: we have not hired a top gun...we have not run any ads...we are not raiding any other companies. This started with the first group of 10 who met Doc, and has spread word-of-mouth from there. And it is more fun and rewarding than a business has any right to be. Thanks for being such fantastic people! 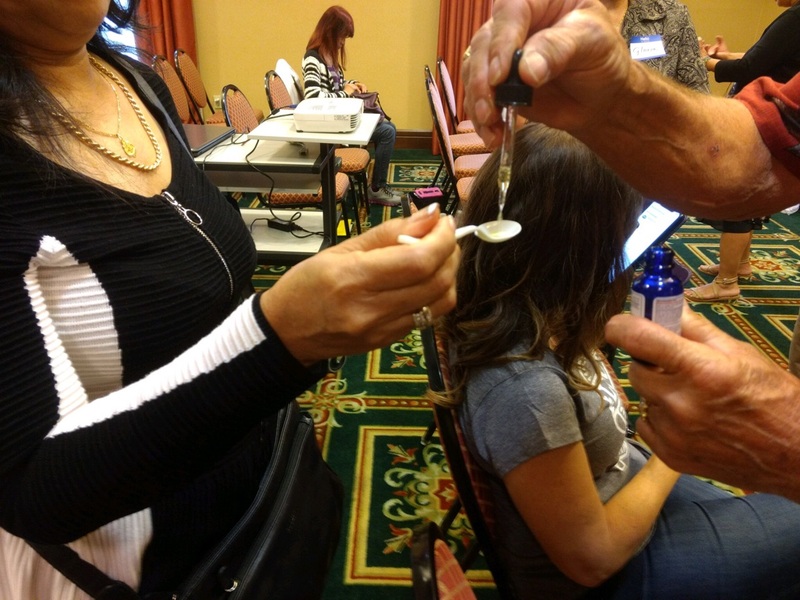 Why do we say -- and how do we KNOW -- that Bocannaco oil is the best oil in the marketplace? 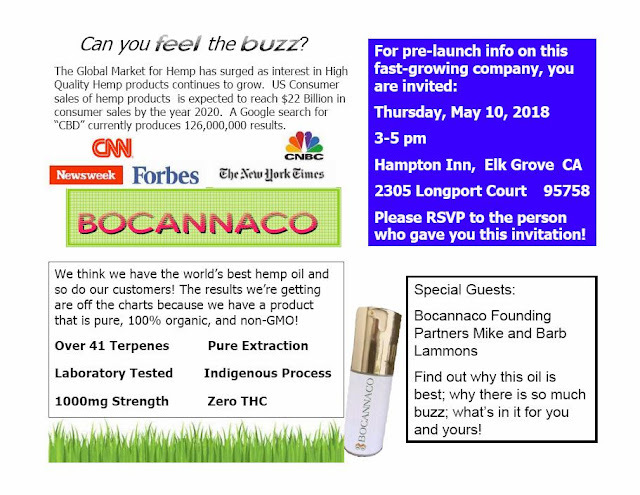 Join us for Bocannaco information, updates and 'the latest'! GREAT FIRST BOCANNACO MEETING anywhere! Yesterday, Elk Grove, CA -- interested people from various parts of Northern (and Southern) California showed up for an afternoon of getting to know each other as well as getting to know all about Bocannaco, both as to product and as to what's-in-it-for-me. Attendees included several Founders and several Future Founders and Distributors -- and the Leadership is emerging! John and Alanna Lambeth and Bob and Arissa Williams (and Cricket) represented Northern California -- as far north as Redding and Susanville. 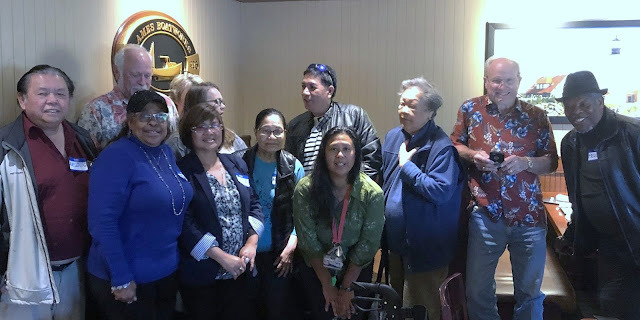 Marlyn Ano, Cora Mandapat, Randy Orloff and team vanned down from the Bay Area to meet up with Andex Laygo, Erlinda Daco and Erlinda Luistro from Elk Grove area. Anybody got a caption for this pic of Randy? 1 dropper under the tongue -- of course this is demo bottle, not our new air-pressure bots! Time for a Test: WHAT SETS BOCANNACO OIL APART FROM THE REST? "Selecting the appropriate cannabis genetics is of extreme importance when producing a high quality CBD. Dr. Lawrence's CBD products took over 7 years cross breeding hemp plants to maximize the highest amount of CBD and highest number of terpenes, flavonoids, etc. Once this was established, cultivars of the original plant were planted so that each plant would always be identical. We do not plant seeds. 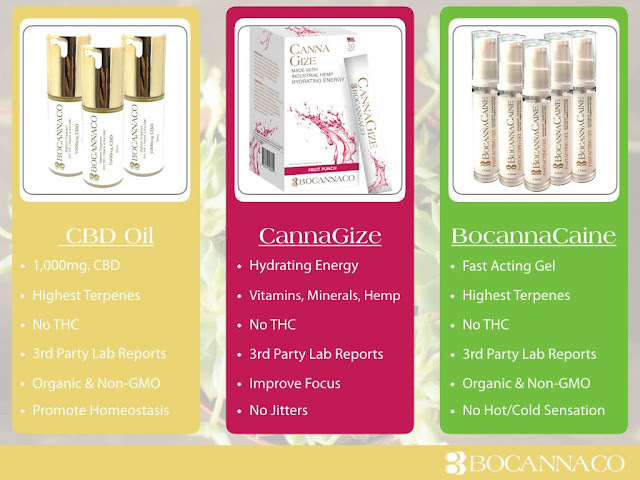 Bocannaco CBD is 100% Organic, Non-GMO, GMP compliant, Eco friendly, and 100% THC FREE. (THC is the component that makes you high). All our products arrive with a COA (Certificate Of Analysis). Our product contains over 40 terpenes indigenous to the plant and ours are the ONLY CBD products that maintain these High Standards." Unlike chemically derived CBD, we do not remove just the cannabinoid from the plant. Our CBD is extracted by a chemical-free process that invokes all of the plant’s natural synergy. We extract the natural fatty acids, waxes, minerals, vitamins, terpenes, and flavonoids to create a potent phyto-rich, full spectrum, “as found in nature” supplement for your body. We call this the “entourage effect,” which provides you with the potential of CBD's in it's most natural state. We are convinced this form of CBD is the most efficacious and takes advantage of the whole plant interacting with your endocannabinoid system, just as nature intended. TOMORROW: Bocannaco Information Session in Elk Grove, CA -- Guests welcome. Bocannaco: DON'T WORRY! BE HAPPY! Missed the Bocannaco Monday Night call last night? Thanks to Bocannaco Founders Bonus Pool Members John Lindsay and Cora Mandapat for sharing. John has been using the oil for just a very few days but he shared some results that he has noticed already. But -- as usually happens when someone is 'on the spot' on a phone call -- he forgot a few things. John dialed Mike after the call and said "I should've made notes because I intended to tell about this and this...!" John will have to share on an upcoming call because he was getting Mike fired up all over again! Cora is bringing a van load of folks to the Thursday Elk Grove Bocannaco info event. Flier below. We planned for 15. Cora and Randy say 25. Now the count is up to 30+... so we have no idea what to expect but for sure it will be a red-letter day. The blog plan is to capture some photos and stories for you, as well as get people's take on being part of bringing Bocannaco to the marketplace! More later... am tracking down an article for you right now! Special Guest Bocannaco Distributor and Founder Pool Member John Lindsay! 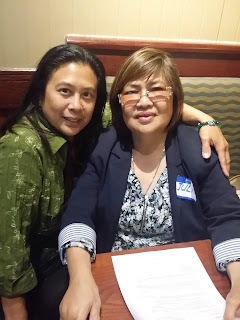 Bocannaco Distributors and Founder Pool Members Marlyn Ano and Cora Mandapat. These two ladies are 'locked and loaded' with event calendar filling up, flyers being printed, and Distributor/Founder completed apps flying thru the air! Hope we can pin them down for an interview tonight! Article below has a lot of good info that's easy to understand. Also, get ahead of your customers -- list everyone you know who suffers with fibromyalgia. Seems like I hear someone complain about this disease regularly. It's amazing how common it is. For decades, since fibromyalgia disproportionately affected women, those who suffered with its often debilitating effects were often labeled as “hysterical women.” Many doctors would not even acknowledge that it was a legitimate physical disorder and called women hypochondriacs. It was often referred to as a “psychosomatic disorder.” Over the decades, the medical community has finally recognized it as a physical disorder, but have only speculated as to its underlying cause. The conventional Western medical treatment consisted of 3 pharmaceuticals, none of which helps with the symptoms, but produces plenty of side effects. The 3 drugs are Lyrica, Cymbalta and Savella. ... With no relief provided by pharmaceuticals, many desperate fibromyalgia sufferers are turning to medical cannabis as a last resort and have been ecstatic with the results. I know patients who have been so incapacitated by fibromyalgia that they were unable to get out of bed, let alone work. Many have resumed activities that they never expected to do again in their lives, including working and exercising. It has been literally a “life saver” for many. The question is why does cannabis seem to work so well? The answer, according to Dr. Ethan Russo, medical director of PHYTECS, is that those who have fibromyalgia suffer from Clinical Endocannabinoid Deficiency (CED). When you replenish the depleted endocannabinoid system with the necessary cannabinoids, the symptoms disappear. Think of it in similar terms of someone with a Vitamin B deficiency feeling much better after taking supplements. For those who have studied the endocannabinoid system (ECS), you will know that its main function is to help the body maintain homeostasis. When the body is in homeostasis, it is free from disease. The ECS consists of cannabinoid receptors, C1 and C2, which are found in the brain, spinal cord, nerves, the stomach and other organs. It also controls many of our physiological processes such as pain, mood, memory and appetite. Our bodies naturally produce endocannabinoids, similiar to those in cannabis. That keeps our ECS functioning properly. When the endocannabinoids are depleted, we experience disorder and disease. Those with severe fibromyalgia know, only too well, all the symptoms of this disorder. Pain is typically the worst, coupled with incapacitating fatigue. Irritable bowel syndrome and migraine are also very common symptoms. Russo is convinced that this is an indication of ECS deficiency. He purposed this theory as far back as 2001. Recent research studies support this theory with evidence of cannabis usage decreasing pain, improving sleep and relieving gastric distress. CED is based on the theory that there is a link between brain disorders and neurotransmitter deficiencies. Think dopamine shortage with Parkinson’s disease and serotonin and norepinephrine with depression. The best evidence for the CED theory is from an Italian migraine study. The results showed reduced levels of anandamide, an endocannabinoid, in the cerebrospinal fluid of chronic migraines sufferers versus healthy control subjects. The ECS is known to regulate the transportation of food in the digestive tract as well as the release of digestive juices to break down food and inflammation. CED would account for digestive disorders like IBS which almost always accompany fibromyalgia. There is much anecdotal evidence but little research evidence to substantiate Dr. Russo’s theory. He would like to conduct randomized controlled trials to prove or disprove the existence of CED. MRI and PET scans may one day by able to detect endocannabinoid levels in patients. That would allow a comparison of endocannabinoid levels in fibromyalgia patients versus healthy control subjects. That possibility may not be far away. Is there still room for me? Thanks to featured speakers Founders Malia and Francine who arrived at the same place from very different perspectives! That's one of the amazing things about this company, isn't it? 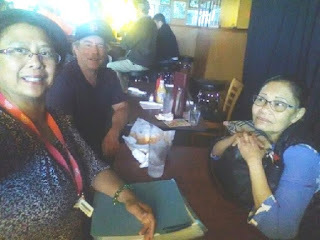 Getting to know each other and our stories of how we got here and where we intend to take our Bocannaco business. Doc texted from CO where he and wife were visiting the farm and meeting with his owner/partners on the hemp farm. He said his partners are so excited about Bocannaco -- and remember, they are the largest in the US. The phones here are pretty much non-stop this morning: happy people, happy talk! People are having so much fun guessing how much their quarterly checks from the Bocannaco Founders Bonus Pool will be! The top question we get asked is "is there still room for me in that Founders pool?" Yes, there is room for you. 22% of the memberships are gone after Week 1 which is awesome -- and there's room for more. Bocannaco's Founders Bonus Pool members are the leaders of the distributor base. 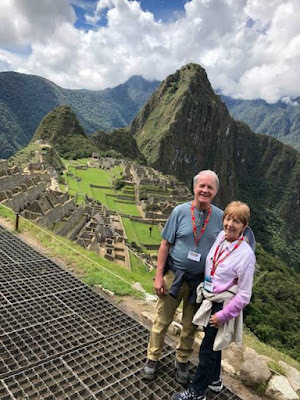 The Pool is designed to encourage each Pool member to work, encourage, train and build ALL distributors -- regardless of downline -- because the Pool quarterly checks come from $2.00 per product sold during each quarter for the life of the company. Mike loves to hear what some builders are projecting! 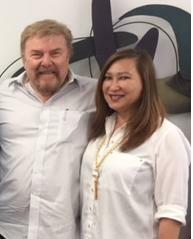 For example, Founder and Distributor Don Nicholes is working his plan to enroll 100 Distributors and help each get 10 customers! And we're sure he will, and won't stop there, because his heart is to help others.